Game between the Atlanta Hawks and the Memphis Grizzlies played on Mon July 2nd 2018. The Grizzlies beat the Hawks 103 to 88. Jaren Jackson Jr. led the scoring with 29 points, Brandon Goodwin led in assists with 5 assists, and Deyonta Davis led by grabbing 7 rebounds. Game between the Memphis Grizzlies and the Utah Jazz played on Tue July 3rd 2018. The Grizzlies beat the Jazz 95 to 92. Wayne Selden led the scoring with 20 points, Wayne Selden led in assists with 6 assists, and Jaren Jackson Jr. led by grabbing 8 rebounds. Game between the Memphis Grizzlies and the San Antonio Spurs played on Thu July 5th 2018. The Spurs beat the Grizzlies 94 to 87. Wayne Selden led the scoring with 26 points, Brandon Goodwin led in assists with 6 assists, and Wayne Selden led by grabbing 7 rebounds. Game between the Detroit Pistons and the Memphis Grizzlies played on Sat July 7th 2018. The Grizzlies beat the Pistons 73 to 70. Wayne Selden led the scoring with 20 points, Jevon Carter led in assists with 4 assists, and Ivan Rabb led by grabbing 10 rebounds. Game between the Memphis Grizzlies and the Orlando Magic played on Sun July 8th 2018. The Magic beat the Grizzlies 86 to 56. Kobi Simmons led the scoring with 15 points, Markel Crawford led in assists with 2 assists, and Deyonta Davis led by grabbing 12 rebounds. Game between the Sacramento Kings and the Memphis Grizzlies played on Tue July 10th 2018. The Kings beat the Grizzlies 94 to 80. Ivan Rabb led the scoring with 17 points, Jevon Carter led in assists with 6 assists, and Ivan Rabb led by grabbing 8 rebounds. Game between the Memphis Grizzlies and the Oklahoma City Thunder played on Thu July 12th 2018. The Grizzlies beat the Thunder 92 to 85. Markel Crawford led the scoring with 21 points, Jevon Carter led in assists with 8 assists, and Jevon Carter led by grabbing 8 rebounds. Game between the Memphis Grizzlies and the Utah Jazz played on Sat July 14th 2018. The Grizzlies beat the Jazz 92 to 86. Jevon Carter led the scoring with 26 points, Jevon Carter led in assists with 6 assists, and Jaren Jackson Jr. led by grabbing 9 rebounds. Game between the Philadelphia 76ers and the Memphis Grizzlies played on Sun July 15th 2018. The Grizzlies beat the 76ers 82 to 73. Brandon Goodwin led the scoring with 21 points, Kobi Simmons led in assists with 7 assists, and Deyonta Davis led by grabbing 10 rebounds. Game between the Memphis Grizzlies and the Portland Trail Blazers played on Mon July 16th 2018. The Trail Blazers beat the Grizzlies 97 to 92. Brandon Goodwin led the scoring with 27 points, Jevon Carter led in assists with 4 assists, and Christian Watford led by grabbing 6 rebounds. Game between the Memphis Grizzlies and the Houston Rockets played on Tue October 2nd 2018. The Rockets beat the Grizzlies 131 to 115. Mike Conley led the scoring with 16 points, Marc Gasol led in assists with 4 assists, and JaMychal Green led by grabbing 8 rebounds. Game between the Atlanta Hawks and the Memphis Grizzlies played on Fri October 5th 2018. The Grizzlies beat the Hawks 120 to 110. Marc Gasol led the scoring with 21 points, Chandler Parsons led in assists with 3 assists, and JaMychal Green led by grabbing 9 rebounds. Game between the Indiana Pacers and the Memphis Grizzlies played on Sat October 6th 2018. The Grizzlies beat the Pacers 109 to 104. Jaren Jackson Jr. led the scoring with 18 points, Wayne Selden led in assists with 9 assists, and Ivan Rabb led by grabbing 12 rebounds. Game between the Memphis Grizzlies and the Orlando Magic played on Wed October 10th 2018. The Magic beat the Grizzlies 102 to 86. Mike Conley led the scoring with 24 points, Marc Gasol led in assists with 5 assists, and Marc Gasol led by grabbing 9 rebounds. Game between the Houston Rockets and the Memphis Grizzlies played on Fri October 12th 2018. The Rockets beat the Grizzlies 121 to 103. Jaren Jackson Jr. led the scoring with 18 points, Mike Conley led in assists with 6 assists, and Marc Gasol led by grabbing 9 rebounds. Game between the Memphis Grizzlies and the Indiana Pacers played on Wed October 17th 2018. The Pacers beat the Grizzlies 111 to 83. Marc Gasol led the scoring with 13 points, Marc Gasol led in assists with 3 assists, and JaMychal Green led by grabbing 7 rebounds. Game between the Atlanta Hawks and the Memphis Grizzlies played on Fri October 19th 2018. The Grizzlies beat the Hawks 131 to 117. Garrett Temple led the scoring with 30 points, Mike Conley led in assists with 11 assists, and Marc Gasol led by grabbing 7 rebounds. Game between the Memphis Grizzlies and the Utah Jazz played on Mon October 22nd 2018. The Grizzlies beat the Jazz 92 to 84. Mike Conley led the scoring with 23 points, Marc Gasol led in assists with 4 assists, and Marc Gasol led by grabbing 13 rebounds. Game between the Memphis Grizzlies and the Sacramento Kings played on Wed October 24th 2018. The Kings beat the Grizzlies 97 to 92. Mike Conley led the scoring with 27 points, Mike Conley led in assists with 5 assists, and Marc Gasol led by grabbing 10 rebounds. Game between the Phoenix Suns and the Memphis Grizzlies played on Sat October 27th 2018. The Grizzlies beat the Suns 117 to 96. Marc Gasol led the scoring with 19 points, Mike Conley led in assists with 7 assists, and Marc Gasol led by grabbing 8 rebounds. 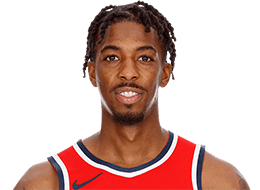 Game between the Washington Wizards and the Memphis Grizzlies played on Tue October 30th 2018. The Grizzlies beat the Wizards 107 to 95. 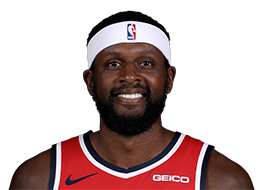 Garrett Temple led the scoring with 20 points, Shelvin Mack led in assists with 8 assists, and Kyle Anderson led by grabbing 11 rebounds. Game between the Memphis Grizzlies and the Utah Jazz played on Fri November 2nd 2018. The Grizzlies beat the Jazz 110 to 100. Mike Conley led the scoring with 28 points, Marc Gasol led in assists with 7 assists, and Marc Gasol led by grabbing 10 rebounds. Game between the Memphis Grizzlies and the Phoenix Suns played on Sun November 4th 2018. The Suns beat the Grizzlies 102 to 100. Shelvin Mack led the scoring with 21 points, Mike Conley led in assists with 5 assists, and Marc Gasol led by grabbing 8 rebounds. Game between the Memphis Grizzlies and the Golden State Warriors played on Mon November 5th 2018. The Warriors beat the Grizzlies 117 to 101. 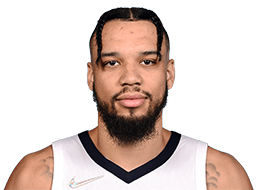 Dillon Brooks led the scoring with 18 points, Marc Gasol led in assists with 9 assists, and Marc Gasol led by grabbing 10 rebounds. 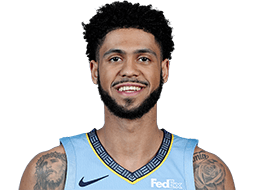 Game between the Denver Nuggets and the Memphis Grizzlies played on Wed November 7th 2018. 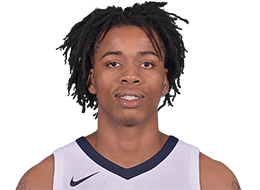 The Grizzlies beat the Nuggets 89 to 87. Jaren Jackson Jr. led the scoring with 20 points, Mike Conley led in assists with 8 assists, and Marc Gasol led by grabbing 12 rebounds. Game between the Philadelphia 76ers and the Memphis Grizzlies played on Sat November 10th 2018. The Grizzlies beat the 76ers 112 to 106. Mike Conley led the scoring with 32 points, Marc Gasol led in assists with 6 assists, and Kyle Anderson led by grabbing 13 rebounds. Game between the Utah Jazz and the Memphis Grizzlies played on Mon November 12th 2018. The Jazz beat the Grizzlies 96 to 88. Mike Conley led the scoring with 24 points, Kyle Anderson led in assists with 5 assists, and Kyle Anderson led by grabbing 13 rebounds. Game between the Memphis Grizzlies and the Milwaukee Bucks played on Wed November 14th 2018. The Grizzlies beat the Bucks 116 to 113. Marc Gasol led the scoring with 29 points, Kyle Anderson led in assists with 5 assists, and Kyle Anderson led by grabbing 8 rebounds. Game between the Sacramento Kings and the Memphis Grizzlies played on Fri November 16th 2018. The Grizzlies beat the Kings 112 to 104. Jaren Jackson Jr. led the scoring with 27 points, Shelvin Mack led in assists with 8 assists, and Marc Gasol led by grabbing 14 rebounds. Game between the Memphis Grizzlies and the Minnesota Timberwolves played on Sun November 18th 2018. The Grizzlies beat the Timberwolves 100 to 87. Marc Gasol led the scoring with 26 points, Mike Conley led in assists with 8 assists, and Marc Gasol led by grabbing 13 rebounds. Game between the Dallas Mavericks and the Memphis Grizzlies played on Mon November 19th 2018. The Grizzlies beat the Mavericks 98 to 88. Mike Conley led the scoring with 28 points, Mike Conley led in assists with 7 assists, and Marc Gasol led by grabbing 15 rebounds. 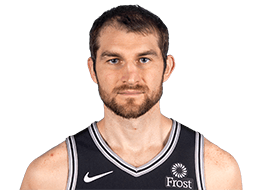 Game between the Memphis Grizzlies and the San Antonio Spurs played on Wed November 21st 2018. The Grizzlies beat the Spurs 104 to 103. Mike Conley led the scoring with 30 points, Mike Conley led in assists with 9 assists, and Marc Gasol led by grabbing 10 rebounds. Game between the Memphis Grizzlies and the LA Clippers played on Fri November 23rd 2018. The Clippers beat the Grizzlies 112 to 107. Marc Gasol led the scoring with 27 points, Mike Conley led in assists with 11 assists, and Marc Gasol led by grabbing 13 rebounds. Game between the New York Knicks and the Memphis Grizzlies played on Sun November 25th 2018. The Knicks beat the Grizzlies 103 to 98. Marc Gasol led the scoring with 27 points, Mike Conley led in assists with 11 assists, and Marc Gasol led by grabbing 8 rebounds. Game between the Toronto Raptors and the Memphis Grizzlies played on Tue November 27th 2018. The Raptors beat the Grizzlies 122 to 114. Marc Gasol led the scoring with 27 points, Mike Conley led in assists with 6 assists, and JaMychal Green led by grabbing 7 rebounds. Game between the Memphis Grizzlies and the Brooklyn Nets played on Fri November 30th 2018. The Grizzlies beat the Nets 131 to 125. Mike Conley led the scoring with 37 points, Mike Conley led in assists with 10 assists, and Marc Gasol led by grabbing 15 rebounds. Game between the Memphis Grizzlies and the Philadelphia 76ers played on Sun December 2nd 2018. The 76ers beat the Grizzlies 103 to 95. Mike Conley led the scoring with 21 points, Kyle Anderson led in assists with 5 assists, and Omri Casspi led by grabbing 8 rebounds. Game between the LA Clippers and the Memphis Grizzlies played on Wed December 5th 2018. The Grizzlies beat the Clippers 96 to 86. Mike Conley led the scoring with 22 points, Kyle Anderson led in assists with 6 assists, and JaMychal Green led by grabbing 11 rebounds. 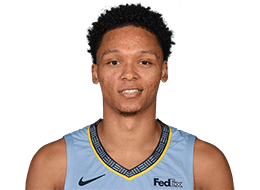 Game between the Memphis Grizzlies and the New Orleans Pelicans played on Fri December 7th 2018. The Grizzlies beat the Pelicans 107 to 103. 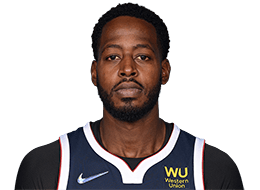 JaMychal Green led the scoring with 24 points, Mike Conley led in assists with 10 assists, and Kyle Anderson led by grabbing 11 rebounds. 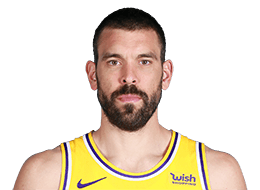 Game between the Los Angeles Lakers and the Memphis Grizzlies played on Sat December 8th 2018. The Lakers beat the Grizzlies 111 to 88. Wayne Selden led the scoring with 17 points, Kyle Anderson led in assists with 4 assists, and Jaren Jackson Jr. led by grabbing 8 rebounds. 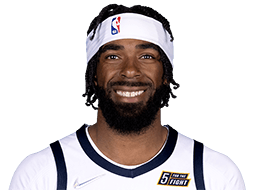 Game between the Memphis Grizzlies and the Denver Nuggets played on Mon December 10th 2018. The Nuggets beat the Grizzlies 105 to 99. Mike Conley led the scoring with 19 points, Marc Gasol led in assists with 6 assists, and JaMychal Green led by grabbing 10 rebounds. Game between the Portland Trail Blazers and the Memphis Grizzlies played on Wed December 12th 2018. The Grizzlies beat the Trail Blazers 92 to 83. Mike Conley led the scoring with 23 points, Mike Conley led in assists with 6 assists, and Kyle Anderson led by grabbing 12 rebounds. Game between the Miami Heat and the Memphis Grizzlies played on Fri December 14th 2018. The Heat beat the Grizzlies 100 to 97. Mike Conley led the scoring with 22 points, Mike Conley led in assists with 8 assists, and Marc Gasol led by grabbing 7 rebounds. Game between the Houston Rockets and the Memphis Grizzlies played on Sat December 15th 2018. The Rockets beat the Grizzlies 105 to 97. Mike Conley led the scoring with 22 points, Mike Conley led in assists with 6 assists, and Marc Gasol led by grabbing 9 rebounds. Game between the Memphis Grizzlies and the Golden State Warriors played on Mon December 17th 2018. The Warriors beat the Grizzlies 110 to 93. Omri Casspi led the scoring with 20 points, Marc Gasol led in assists with 6 assists, and Marc Gasol led by grabbing 6 rebounds. Game between the Memphis Grizzlies and the Portland Trail Blazers played on Wed December 19th 2018. The Trail Blazers beat the Grizzlies 99 to 92. Mike Conley led the scoring with 23 points, Mike Conley led in assists with 6 assists, and Marc Gasol led by grabbing 10 rebounds. Game between the Memphis Grizzlies and the Sacramento Kings played on Fri December 21st 2018. The Kings beat the Grizzlies 102 to 99. Mike Conley led the scoring with 23 points, Marc Gasol led in assists with 5 assists, and JaMychal Green led by grabbing 9 rebounds. Game between the Memphis Grizzlies and the Los Angeles Lakers played on Sun December 23rd 2018. The Grizzlies beat the Lakers 107 to 99. Jaren Jackson Jr. led the scoring with 27 points, Marc Gasol led in assists with 8 assists, and Jaren Jackson Jr. led by grabbing 9 rebounds. Game between the Cleveland Cavaliers and the Memphis Grizzlies played on Wed December 26th 2018. The Grizzlies beat the Cavaliers 95 to 87. Marc Gasol led the scoring with 20 points, Mike Conley led in assists with 8 assists, and Marc Gasol led by grabbing 9 rebounds. Game between the Boston Celtics and the Memphis Grizzlies played on Sat December 29th 2018. The Celtics beat the Grizzlies 112 to 103. Mike Conley led the scoring with 26 points, Marc Gasol led in assists with 10 assists, and JaMychal Green led by grabbing 9 rebounds. Game between the Memphis Grizzlies and the Houston Rockets played on Mon December 31st 2018. The Rockets beat the Grizzlies 113 to 101. Kyle Anderson led the scoring with 20 points, Kyle Anderson led in assists with 5 assists, and Marc Gasol led by grabbing 12 rebounds. Game between the Detroit Pistons and the Memphis Grizzlies played on Wed January 2nd 2019. The Pistons beat the Grizzlies 101 to 94. 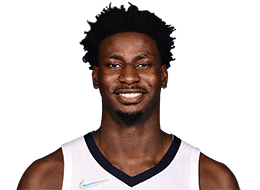 Jaren Jackson Jr. led the scoring with 26 points, Shelvin Mack led in assists with 6 assists, and Jaren Jackson Jr. led by grabbing 10 rebounds. Game between the Brooklyn Nets and the Memphis Grizzlies played on Fri January 4th 2019. The Nets beat the Grizzlies 109 to 100. 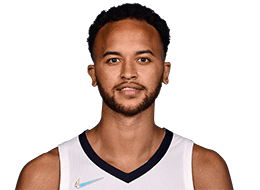 Mike Conley led the scoring with 31 points, Kyle Anderson led in assists with 10 assists, and Kyle Anderson led by grabbing 11 rebounds. Game between the Memphis Grizzlies and the San Antonio Spurs played on Sat January 5th 2019. The Spurs beat the Grizzlies 108 to 88. Mike Conley led the scoring with 21 points, Marc Gasol led in assists with 6 assists, and Marc Gasol led by grabbing 11 rebounds. Game between the Memphis Grizzlies and the New Orleans Pelicans played on Mon January 7th 2019. The Pelicans beat the Grizzlies 114 to 95. Mike Conley led the scoring with 22 points, Mike Conley led in assists with 10 assists, and Joakim Noah led by grabbing 8 rebounds. Game between the San Antonio Spurs and the Memphis Grizzlies played on Wed January 9th 2019. The Grizzlies beat the Spurs 96 to 86. Marc Gasol led the scoring with 26 points, Shelvin Mack led in assists with 7 assists, and Marc Gasol led by grabbing 14 rebounds. Game between the Memphis Grizzlies and the Miami Heat played on Sat January 12th 2019. The Heat beat the Grizzlies 112 to 108. JaMychal Green led the scoring with 24 points, Mike Conley led in assists with 7 assists, and JaMychal Green led by grabbing 11 rebounds. Game between the Memphis Grizzlies and the Houston Rockets played on Mon January 14th 2019. The Rockets beat the Grizzlies 112 to 94. 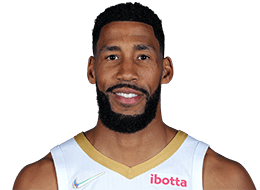 Garrett Temple led the scoring with 14 points, Mike Conley led in assists with 7 assists, and Marc Gasol led by grabbing 7 rebounds. 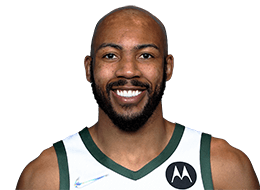 Game between the Milwaukee Bucks and the Memphis Grizzlies played on Wed January 16th 2019. The Bucks beat the Grizzlies 111 to 101. Omri Casspi led the scoring with 17 points, Shelvin Mack led in assists with 6 assists, and JaMychal Green led by grabbing 10 rebounds. Game between the Memphis Grizzlies and the Boston Celtics played on Fri January 18th 2019. The Celtics beat the Grizzlies 122 to 116. Mike Conley led the scoring with 26 points, Marc Gasol led in assists with 12 assists, and Marc Gasol led by grabbing 11 rebounds. Game between the Memphis Grizzlies and the Toronto Raptors played on Sat January 19th 2019. The Raptors beat the Grizzlies 119 to 90. Jaren Jackson Jr. led the scoring with 16 points, Shelvin Mack led in assists with 5 assists, and Ivan Rabb led by grabbing 11 rebounds. Game between the New Orleans Pelicans and the Memphis Grizzlies played on Mon January 21st 2019. The Pelicans beat the Grizzlies 105 to 85. Marc Gasol led the scoring with 22 points, Mike Conley led in assists with 8 assists, and Garrett Temple led by grabbing 8 rebounds. 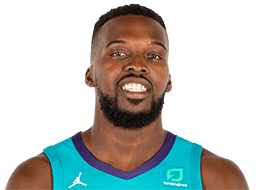 Game between the Charlotte Hornets and the Memphis Grizzlies played on Wed January 23rd 2019. 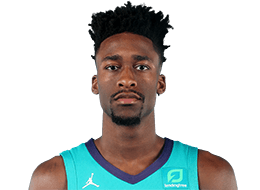 The Hornets beat the Grizzlies 118 to 107. Mike Conley led the scoring with 31 points, Marc Gasol led in assists with 10 assists, and Marc Gasol led by grabbing 17 rebounds. 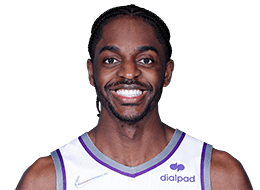 Game between the Sacramento Kings and the Memphis Grizzlies played on Fri January 25th 2019. The Kings beat the Grizzlies 99 to 96. 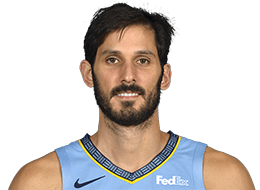 Omri Casspi led the scoring with 18 points, Mike Conley led in assists with 9 assists, and Marc Gasol led by grabbing 10 rebounds. Game between the Indiana Pacers and the Memphis Grizzlies played on Sat January 26th 2019. The Grizzlies beat the Pacers 106 to 103. Mike Conley led the scoring with 22 points, Mike Conley led in assists with 11 assists, and Marc Gasol led by grabbing 7 rebounds. Game between the Denver Nuggets and the Memphis Grizzlies played on Mon January 28th 2019. The Nuggets beat the Grizzlies 95 to 92. Marc Gasol led the scoring with 28 points, Mike Conley led in assists with 11 assists, and Marc Gasol led by grabbing 9 rebounds. Game between the Memphis Grizzlies and the Minnesota Timberwolves played on Wed January 30th 2019. The Timberwolves beat the Grizzlies 99 to 97. Mike Conley led the scoring with 26 points, Mike Conley led in assists with 8 assists, and Ivan Rabb led by grabbing 10 rebounds. Game between the Memphis Grizzlies and the Charlotte Hornets played on Fri February 1st 2019. The Hornets beat the Grizzlies 100 to 92. 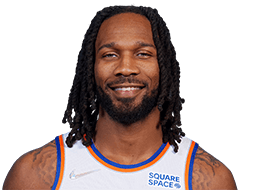 Shelvin Mack led the scoring with 19 points, Shelvin Mack led in assists with 9 assists, and Joakim Noah led by grabbing 11 rebounds. Game between the Memphis Grizzlies and the New York Knicks played on Sun February 3rd 2019. The Grizzlies beat the Knicks 96 to 84. Mike Conley led the scoring with 25 points, Mike Conley led in assists with 7 assists, and Marc Gasol led by grabbing 9 rebounds. Game between the Minnesota Timberwolves and the Memphis Grizzlies played on Tue February 5th 2019. The Grizzlies beat the Timberwolves 108 to 106. Mike Conley led the scoring with 25 points, Mike Conley led in assists with 9 assists, and Ivan Rabb led by grabbing 11 rebounds. Game between the Memphis Grizzlies and the Oklahoma City Thunder played on Thu February 7th 2019. The Thunder beat the Grizzlies 117 to 95. Jaren Jackson Jr. led the scoring with 27 points, Mike Conley led in assists with 7 assists, and Ivan Rabb led by grabbing 9 rebounds. Game between the New Orleans Pelicans and the Memphis Grizzlies played on Sat February 9th 2019. The Grizzlies beat the Pelicans 99 to 90. 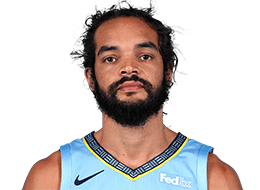 Joakim Noah led the scoring with 19 points, Mike Conley led in assists with 9 assists, and Joakim Noah led by grabbing 14 rebounds. Game between the San Antonio Spurs and the Memphis Grizzlies played on Tue February 12th 2019. The Spurs beat the Grizzlies 108 to 107. Avery Bradley led the scoring with 33 points, Avery Bradley led in assists with 6 assists, and Jonas Valanciunas led by grabbing 10 rebounds. Game between the Memphis Grizzlies and the Chicago Bulls played on Wed February 13th 2019. The Bulls beat the Grizzlies 122 to 110. Avery Bradley led the scoring with 15 points, Avery Bradley led in assists with 5 assists, and Jonas Valanciunas led by grabbing 7 rebounds. Game between the LA Clippers and the Memphis Grizzlies played on Fri February 22nd 2019. The Clippers beat the Grizzlies 112 to 106. Mike Conley led the scoring with 25 points, Mike Conley led in assists with 10 assists, and Joakim Noah led by grabbing 11 rebounds. Game between the Memphis Grizzlies and the Cleveland Cavaliers played on Sat February 23rd 2019. The Cavaliers beat the Grizzlies 112 to 107. Jonas Valanciunas led the scoring with 25 points, Ivan Rabb led in assists with 4 assists, and Jonas Valanciunas led by grabbing 11 rebounds. Game between the Los Angeles Lakers and the Memphis Grizzlies played on Mon February 25th 2019. The Grizzlies beat the Lakers 110 to 105. Mike Conley led the scoring with 30 points, Mike Conley led in assists with 5 assists, and Jonas Valanciunas led by grabbing 13 rebounds. Game between the Chicago Bulls and the Memphis Grizzlies played on Wed February 27th 2019. The Bulls beat the Grizzlies 109 to 107. Avery Bradley led the scoring with 23 points, Avery Bradley led in assists with 7 assists, and Joakim Noah led by grabbing 9 rebounds. Game between the Memphis Grizzlies and the Dallas Mavericks played on Sat March 2nd 2019. The Grizzlies beat the Mavericks 111 to 81. Jonas Valanciunas led the scoring with 20 points, Bruno Caboclo led in assists with 6 assists, and Bruno Caboclo led by grabbing 11 rebounds. Game between the Memphis Grizzlies and the Oklahoma City Thunder played on Sun March 3rd 2019. The Thunder beat the Grizzlies 99 to 95. 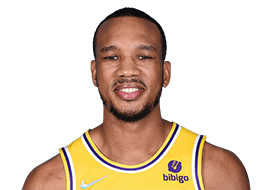 Avery Bradley led the scoring with 27 points, Avery Bradley led in assists with 7 assists, and Jonas Valanciunas led by grabbing 13 rebounds. Game between the Portland Trail Blazers and the Memphis Grizzlies played on Tue March 5th 2019. The Grizzlies beat the Trail Blazers 120 to 111. Mike Conley led the scoring with 40 points, Joakim Noah led in assists with 7 assists, and Joakim Noah led by grabbing 10 rebounds. Game between the Utah Jazz and the Memphis Grizzlies played on Fri March 8th 2019. The Grizzlies beat the Jazz 114 to 104. Mike Conley led the scoring with 28 points, Mike Conley led in assists with 11 assists, and Joakim Noah led by grabbing 8 rebounds. Game between the Orlando Magic and the Memphis Grizzlies played on Sun March 10th 2019. The Grizzlies beat the Magic 105 to 97. Mike Conley led the scoring with 26 points, Mike Conley led in assists with 8 assists, and Jonas Valanciunas led by grabbing 8 rebounds. Game between the Memphis Grizzlies and the Atlanta Hawks played on Wed March 13th 2019. The Hawks beat the Grizzlies 132 to 111. CJ Miles led the scoring with 33 points, Mike Conley led in assists with 7 assists, and Joakim Noah led by grabbing 8 rebounds. Game between the Memphis Grizzlies and the Washington Wizards played on Sat March 16th 2019. The Wizards beat the Grizzlies 135 to 128. Mike Conley led the scoring with 28 points, Mike Conley led in assists with 12 assists, and Jonas Valanciunas led by grabbing 8 rebounds. Game between the Houston Rockets and the Memphis Grizzlies played on Wed March 20th 2019. The Grizzlies beat the Rockets 126 to 125. Mike Conley led the scoring with 35 points, Mike Conley led in assists with 8 assists, and Jonas Valanciunas led by grabbing 15 rebounds. Game between the Memphis Grizzlies and the Orlando Magic played on Fri March 22nd 2019. The Magic beat the Grizzlies 123 to 119. Tyler Dorsey led the scoring with 29 points, Tyler Dorsey led in assists with 9 assists, and Jonas Valanciunas led by grabbing 24 rebounds. Game between the Minnesota Timberwolves and the Memphis Grizzlies played on Sat March 23rd 2019. The Timberwolves beat the Grizzlies 112 to 99. Mike Conley led the scoring with 23 points, Delon Wright led in assists with 6 assists, and Jonas Valanciunas led by grabbing 14 rebounds. Game between the Oklahoma City Thunder and the Memphis Grizzlies played on Mon March 25th 2019. The Grizzlies beat the Thunder 115 to 103. 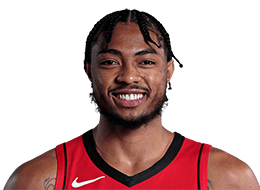 Bruno Caboclo led the scoring with 24 points, Delon Wright led in assists with 13 assists, and Jonas Valanciunas led by grabbing 14 rebounds. Game between the Golden State Warriors and the Memphis Grizzlies played on Wed March 27th 2019. The Warriors beat the Grizzlies 118 to 103. Jonas Valanciunas led the scoring with 27 points, Mike Conley led in assists with 8 assists, and Bruno Caboclo led by grabbing 13 rebounds. Game between the Memphis Grizzlies and the Phoenix Suns played on Sat March 30th 2019. The Grizzlies beat the Suns 120 to 115. 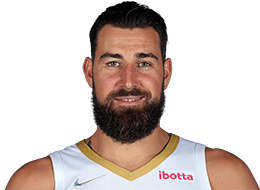 Jonas Valanciunas led the scoring with 34 points, Jonas Valanciunas led in assists with 5 assists, and Jonas Valanciunas led by grabbing 20 rebounds. Game between the Memphis Grizzlies and the LA Clippers played on Sun March 31st 2019. The Clippers beat the Grizzlies 113 to 96. Delon Wright led the scoring with 20 points, Delon Wright led in assists with 4 assists, and Delon Wright led by grabbing 8 rebounds. Game between the Memphis Grizzlies and the Portland Trail Blazers played on Wed April 3rd 2019. The Trail Blazers beat the Grizzlies 116 to 89. 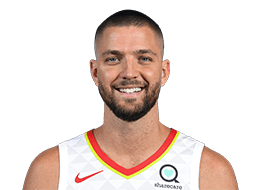 Chandler Parsons led the scoring with 16 points, Delon Wright led in assists with 6 assists, and Ivan Rabb led by grabbing 10 rebounds. Game between the Memphis Grizzlies and the Dallas Mavericks played on Fri April 5th 2019. The Grizzlies beat the Mavericks 122 to 112. Delon Wright led the scoring with 26 points, Delon Wright led in assists with 14 assists, and Delon Wright led by grabbing 10 rebounds. Game between the Dallas Mavericks and the Memphis Grizzlies played on Sun April 7th 2019. The Mavericks beat the Grizzlies 129 to 127. Justin Holiday led the scoring with 30 points, Delon Wright led in assists with 12 assists, and Bruno Caboclo led by grabbing 17 rebounds. Game between the Memphis Grizzlies and the Detroit Pistons played on Tue April 9th 2019. The Pistons beat the Grizzlies 100 to 93. Bruno Caboclo led the scoring with 15 points, Tyler Zeller led in assists with 3 assists, and Ivan Rabb led by grabbing 10 rebounds. Game between the Golden State Warriors and the Memphis Grizzlies played on Wed April 10th 2019. The Grizzlies beat the Warriors 132 to 117. Jevon Carter led the scoring with 32 points, Delon Wright led in assists with 11 assists, and Delon Wright led by grabbing 11 rebounds.